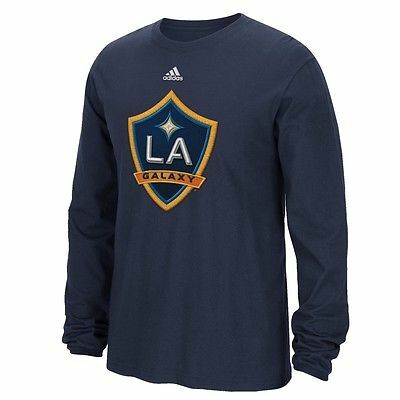 Cheer on your favorite team with this Adidas MLS “High End Patch” long sleeve shirt. This long sleeve shirt is made of 100% cotton featuring high-end screen printed team graphics on the front, and is tagless so it’s as comfortable as it is great looking! Manufactured by Adidas and officially licensed. Welcome to Collectibles of the Game Store on Ebay! Check-Out Now! Click the Pay Now button at the top of this listing to immediately proceed with our checkout and payment process. We accept the PayPal as the form of payment. We offer flat rate $4.95 shipping within the United States no matter how many items are purchased. Express Shipping (2nd Day for $14.95) and Overnight Shipping ($34.95) are also available for orders received by 1pm Monday through Thursday. We ship internationally using UPS Worldwide Saver with the rates based on the number of items purchased. We strive for excellence at all times and we are here in assist you from purchase to receipt of your order. Our Customer Service department is available via phone at (865-454-0793) or by email by clicking here. If you are requesting an exchange, please make a note of the size that you will need.